Freedom and Flourishing: Does nature show us the way to flourish? There are good reasons to look to nature for an understanding of what it means for a human to flourish. By looking at nature we know that in many respects humans are similar to other animals. We consider some aspects of human flourishing in same way as we might consider whether animals in a zoo have adequate opportunities to flourish. For example, we consider whether humans have the food, shelter, companionship, and environmental interactions that are necessary for their physical and mental health. However, when we look at human nature we also see potentialities that differ from those of other animals. We see greater cognitive capabilities, and greater potential for choice and self-direction. That suggests that human flourishing must involve development and exercise of cognitive abilities and skills in self-direction. When humans are flourishing they make fewer bad choices and are better at learning from their mistakes than when they are languishing. The view just expressed is, of course, a Western libertarian view that owes much to Aristotle’s naturalistic perceptions of human flourishing. Contrary views are often heard, some of which also claim links to Aristotle. It is often argued that even adult humans are so prone to making bad choices – despite the help of family, friends and professional advisors - that they are unlikely to have happy lives unless they are subjected to a lot of paternalistic intervention by governments. Those who hold that view seem to think that governments are capable of designing and implementing regulatory systems that will enable people to have happier lives than under a spontaneous order relying on individual autonomy and mutually beneficial interactions with others. Such paternalists encourage people to become dependent on government like animals in a zoo become dependent on their keepers. The seemingly endless dispute over the relative merits of spontaneous orders and paternalistic governance has parallels in the disputes between Daoism and Confucianism in ancient China. That became evident to me while I was reading An Introduction to Daoist Philosophies by Steve Coutinho. The book also provides people in the West with a different way of considering what nature shows us about human flourishing. I first encountered Daoist philosophy a few years ago when I stumbled across a quote from Laozi (also referred to as Lao-tzu or Lao-tze). I then read the Laozi (also referred to simply as the Tao Te Ching) and posted to my blog asking: Was Lao-Tzu a libertarian? When I wrote that post I had the impression Laozi was a person who lived in the 6th century BCE, but there is actually no indisputable historical evidence of his existence. The Laozi may be a collection of the works of several authors. In the early Daoist texts nature is perceived as the context in which humans finds their place, nurtured and sustained along with all other things. Nature is perceived as untamed, but it is not viewed through the frame of the predatory survivalism often seen in wildlife documentaries. Nor is nature viewed through the frame of Rousseau’s ideal of harmony and perfection. The Daoists saw nature as a source of inspiration about how we should live. The Laozi does not view nature as some kind of entity which micromanages natural phenomena. It recognizes that the complex natural world could not exist if it had to be controlled or manipulated deliberately. The natural world allows living things to grow and flourish according to their natures. “We must first appreciate the natural tendencies of the circumstances, of our surroundings, of other people, and of ourselves. We should then explore the most efficient way of dealing with things, one that accords closely with their immediate tendencies. Rather than planning for all contingencies in advance, we should wait to observe how things develop, sense how they tend to move themselves, and then move with them, redirecting them with minimal effort”. The somewhat anarchistic approach of Daoist philosophy stands in contrast to the Confucians, who sought to maintain social order through social hierarchies and ethical cultivation, and other branches of Chinese philosophy which advocated clear laws, regulations and standards, and emphasized language and linguistic distinctions. 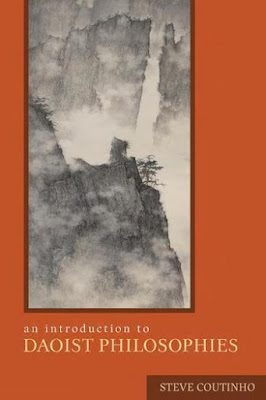 Steve Coutinho’s book contains a chapter discussing the Daoist philosophy of skill, which is directly relevant to question of what nature tells us about how we can flourish. The chapter is based on the Zhuangzi and Liezi, which were written after the Laozi, but share some broad themes with it. As Coutinho explains it, the path of cultivation of natural tendencies involves more than just going with the flow and following your desires - the interpretation of Daoist philosophy that is often implied by popularizations in the West. Most of us no longer know instinctively how to live naturally because our thoughts and actions have become shaped by excessive artifice – unnatural complexity - which is a by-product of thousands of years of cultural development. The degree of artifice in our lives has divorced us from an intuitive understanding of the nature of things and of ourselves. The cultivation of natural tendencies and recovery of spontaneity require the undoing of some of this artifice. What nature shows us is that natural creatures have a natural capacity to flourish without written instructions. Even when they know what they do, they do not necessarily know how or why they do what they do. It is the nature of humans to use their cognitive abilities to design and produce things and to enjoy cultural activities. What we can learn from nature is how to do these things in a simple way that is intuitive, natural, fluid and responsive to the natural tendencies of the phenomena one is engaged with. An understanding of the Daoist message can be gained most readily by considering acquisition of physical skills. For example, in order to become skilled at archery a focus on scientific knowledge about how eyes and muscles work would be an unhelpful distraction. The skill can only be acquired through experiments in actual movement, which the teacher then attempts to correct and adjust. There are good reasons why this reminds me of the lessons I had in the Alexander Technique to help rectify stress-related back and neck problems. The path to skill lies in nurturing the natural abilities we are born with. Many years of training are often required to develop increased sensitivity to the “innermost subtle tendencies” of the phenomena we are dealing with. Skilful performance requires awareness to be focused on the task so that potential distractions do not interfere. “A flourishing life, a life lived well, for a Daoist, is one performed with consummate artistry”. It seems to me that if more people in the West could think about that for a while it might help them to see the merits of spontaneous orders and to reject the artifices of paternalistic government. Labels: Autonomy and responsibility, Big government, Ethics and moral instincts, Frames and beliefs, Identity, inner freedom, The good society, What is happiness? Very interesting Winton. As I read, I can't help but draw parallels between the Daoist perspective and the Stoic precept to live in accord with Nature. The goal of Stoic practice is understand what you can control (only your own actions, thoughts and desires) and also to "gain skill," in living. Yes Leah, there is also much in common between Buddhism and both Daoist and Stoic perspectives. It is interesting to speculate about the associated with trade and invasions e.g. Alexander.